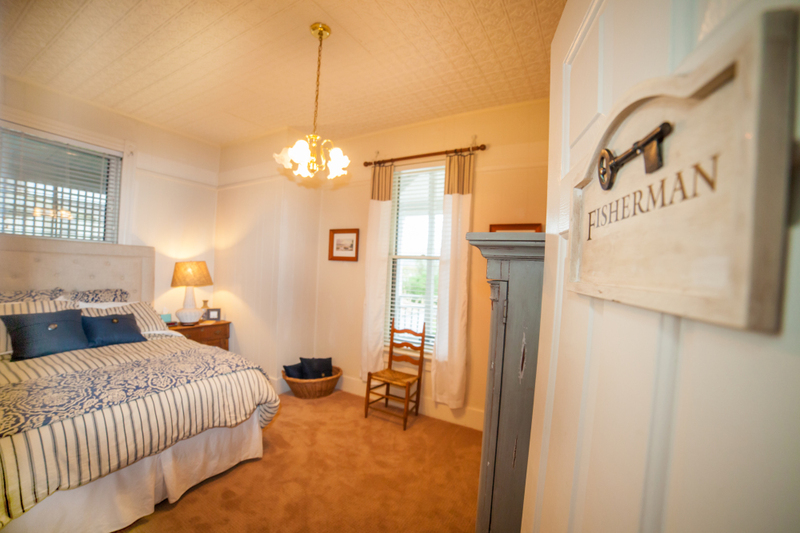 Lake Guntersville is one of the top rated lakes in the nation for fishing, and that’s how this room got its name. The room features a plush queen bed with premium bedding, an armoire with a flat screen tv, and antique furnishings . 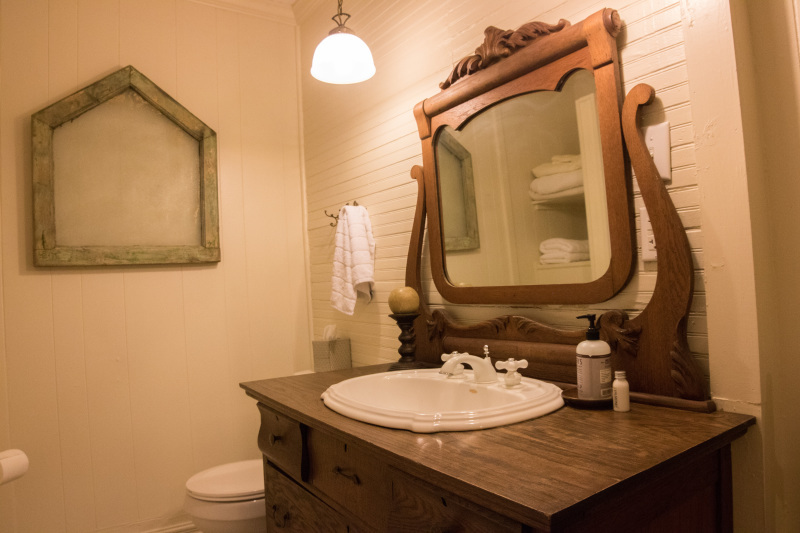 The bathroom features a shower and a custom vanity made from a vintage dresser. This room is on the 1st floor and has private porch access.